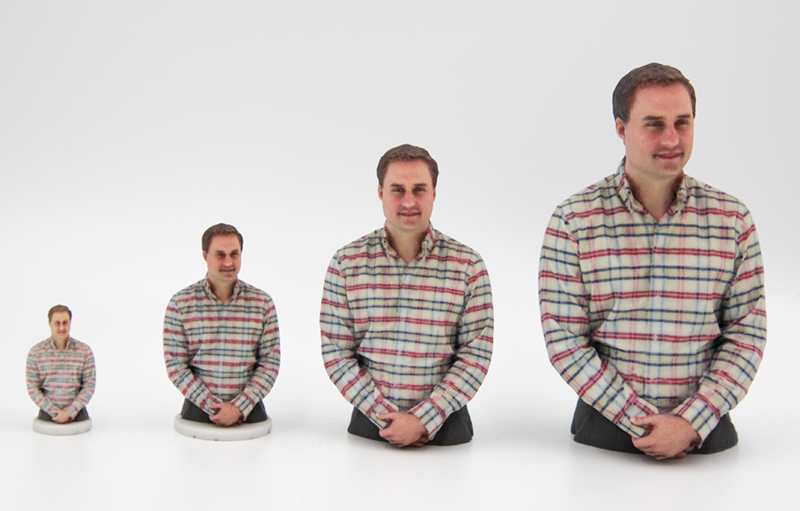 Image below shows examples of 3″, 5″, 7″ and 9″ figurines. Models 10″ and over include free HD Touch-Up and Protectant. 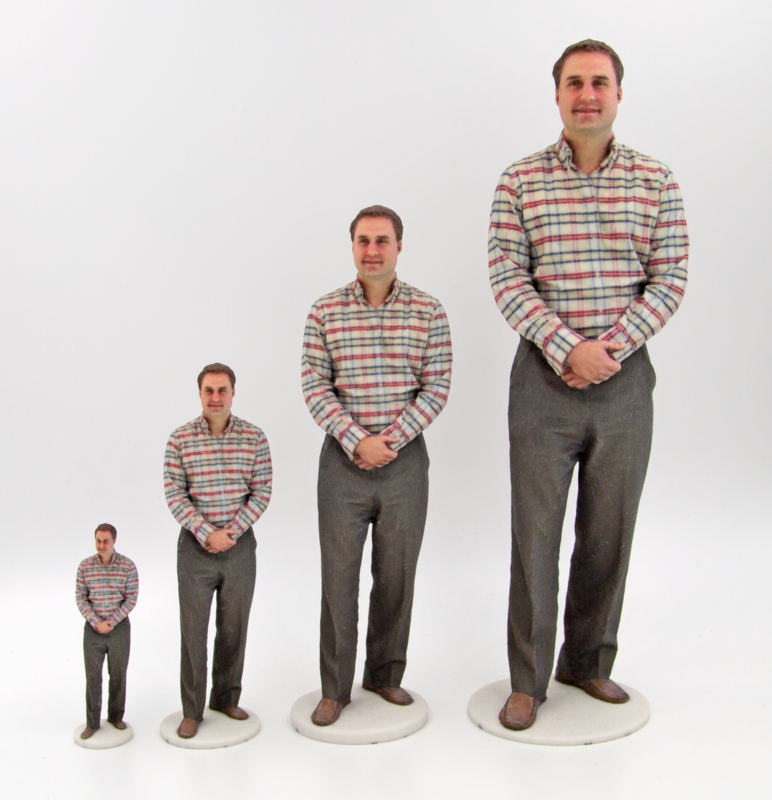 Image below shows examples of 1.5″, 2.5″, 3.5″ and 4.5″ figurines. Models 5″ and over include free Protectant. HD Touch-Up is recommended. Image above shows examples of 0.75″, 1.25″, 1.75″ and 2.25″ figurines. Models 2.5″ and over include free Protectant. HD Touch-Up is recommended. For smaller single person prints, we recommend getting a circular base. The base will add stability to the model, although models of all sizes should be able to stand on their own. Bases are not offered on Premium 3D Prints because they’re unnecessary and are more fragile at larger sizes. Prices for bases depend on the size of the model and vary between $8 and $28. Our HD Touch-Up service utilizes professional 3D artists that spend significantly more time editing your model. Models that go through this process will have better facial features, better hair texture and overall better detail. We can also do body modifications like slight thinning and body reshaping. 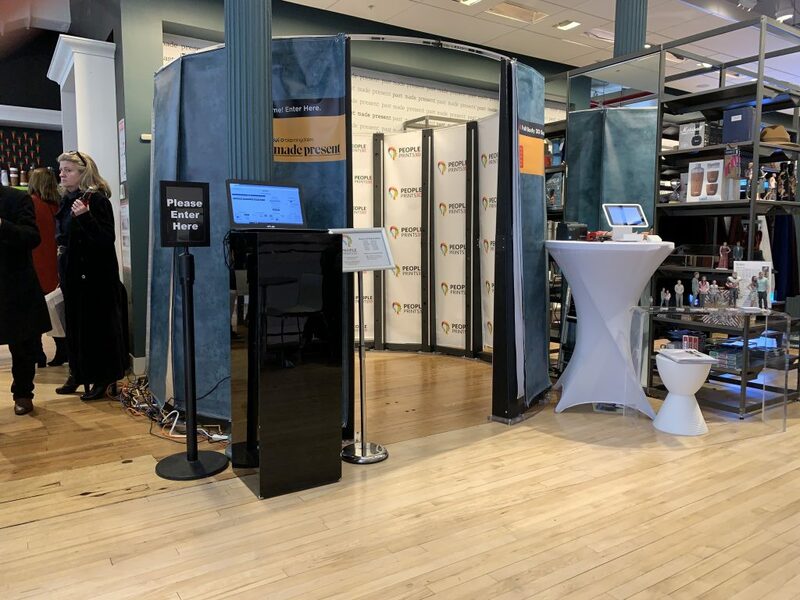 It is highly recommended and may be necessary for scans that utilize props, and is required if the subject would like to be scanned wearing glasses. HD Touch-Up costs $40 for a single person, and then $15 for each additional person in the scan. Our new Protectant will protect your models from UV fading and water damage. It is a matte finish and adds a slight shine to your model. The Protectant also smooths out the overall finish of the figurine and greatly reduces “build lines” which can be visible on your model. Rush orders are an additional charge of 30% of your order, and guarantees your model will ship within 5-8 business days. There is no fee if you would like to pick your model up from our store. To have your model delivered to your home, there is a $6 per figurine fee for shipping anywhere in the United States. International shipping is also available for $20 or less depending on the destination.